Michael Harner, Ph.D., an anthropologist, has practiced shamanism and shamanic healing since 1961 and pioneered their return to contemporary life. Founder of The Foundation for Shamanic Studies, a public non-profit educational organization, in Mill Valley, California, he has taught shamanic methods since the early 1970s. ""Michael Harner has done for shamanism what D.T. Suzuki did for Buddhism. He introduced shamanism to mainstream Americans"" - Tom Cowan, in Shamanism as a Spiritual Practice for Daily Life. Michael Harner has been a professor at Columbia, Yale, the University of California at Berkeley, and at the Graduate Faculty of the New School for Social Research in New York, where he was chairman of the Department of Anthropology. He also served as co-chairman of the Anthropology Section of the New York Academy of Sciences. He has done fieldwork in the Upper Amazon, western North America, the Canadian Arctic, and Samiland (Lapland). His books include The Way of the Shaman (Harper & Row), Hallucinogens and Shamanism (Oxford University Press), The Jivaro (University of California Press), and a novel, Cannibal, which he co-authored. He developed the FSS shamanic training workshops and courses now taught worldwide. The solo drumming is in the classic mode by Michael Harner using a single-headed, round-frame, hand drum. 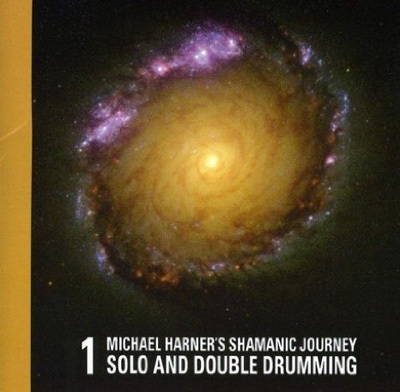 The double drumming, which some journeyers prefer, is also by Michael Harner, assisted by David Corbin. Both are using single-headed, round-frame drums. The drums are beaten facing each other at a slight angle, about four feet apart, to produce the maximum effect without excessive reverberation. The compact disc offers the opportunity to program 15 and 30 minute solo or double drumming play with callback.